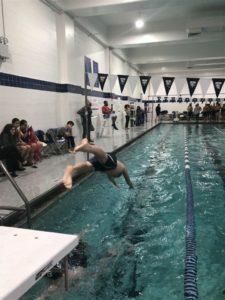 With the Winter Sports Season winding down the Grace Gazette decided to look back on the amazing Swim Team season. The team has improved dramatically from a 3-5 record last year to an unprecedented record of 4-3 heading into the ACIS championships. Led by Captains Paul Hirschorn ‘19, Louis Schoeppach ‘19, and Desta Mutisya ‘19 the team has been able to win individual events with ease. Kaitlyn Lu ‘19m Luke Morris ‘19 have chipped in by dominating their 100m breaststroke and 50m freestyle events, with freshman additions Caroline Lansing and Leo Margolies boosting an already strong team. Margolies has gone unbeaten in the 100m breaststroke this year and Lansing has anchored the girls 400m freestyle relay winning the 100m freestyle as well. Luke Morris ’19 said, “the attitude and culture of the team has changed, people are definitely more committed than in previous years. 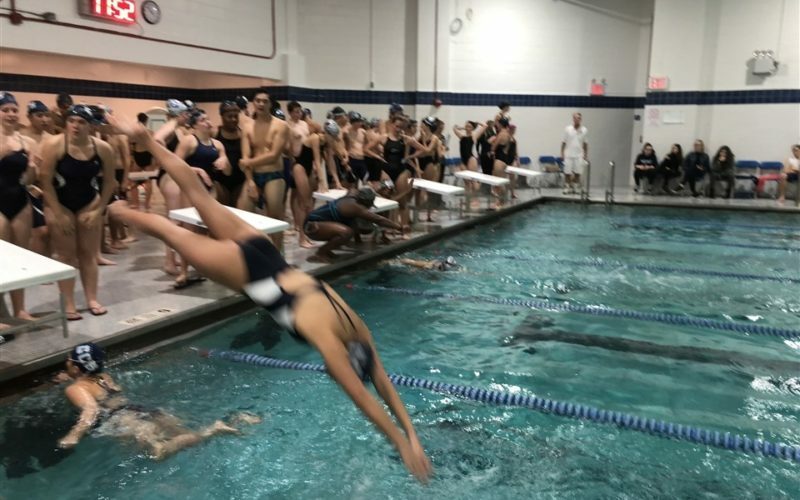 I think it’s because people actually think we have a chance now and believe that we can win.” Grace’s swim program has been atop the ACIS all year and looks to continue their winning ways heading into the ACIS championships.